The cancer of bone marrow is given the name of leukemia. In this sort of cancer, the bone marrow begins to produce abnormal white blood cells in large numbers called the leukemia cells. The rapid growth of the abnormal white blood cells affects the working of the normal cells. Leukemia is categorized into two types, to say, acute or chronic. In acute leukemia, the abnormal blood cells produce unlimited abnormal blast cells which are immature and weak to carry out normal functions. The number of blast cells increases quickly and the disease gets worse. 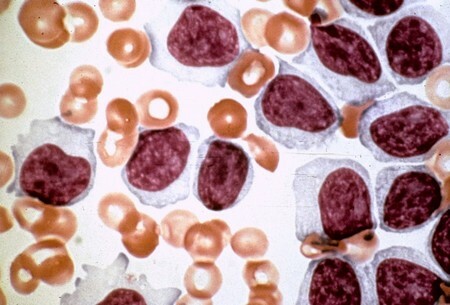 In chronic leukemia, the blast cells produced are much mature and have the tendency to carry out normal functions. Unlike acute leukemia, the growth of blast cells is slower. There are two types of white blood cells, i.e. 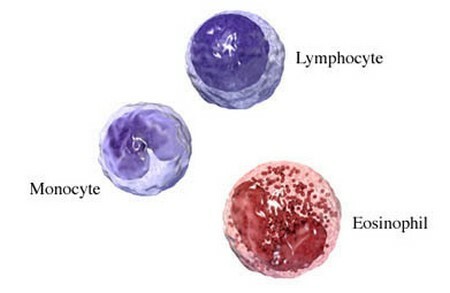 lymphoid cells and myeloid cells. When leukemia develops in the lymphoid cells, it is called lymphocytic leukemia and when it affects the myeloid cells, it is called myeloid or myelogenous leukemia. It is a common type of cancer of blood and bone marrow. It develops in the spongy tissue present inside the bones where blood cells are made. The reason of giving it a name acute lymphocytic leukemia is that the disease develops quickly and influences the immature blood cells. The other names used for the acute lymphocytic leukemia are acute lymphoblastic leukemia and acute childhood leukemia. It is called the acute childhood leukemia because it is the most common type of cancer found in children. Acute lymphocytic leukemia can also affect the adults. On time treatment can help to cure the cancer. One of the fast growing cancers of blood and bone marrow that creates many abnormal cells called blasts. Normally, blasts are produced to fight against infections, but in this case the produced blast cells are abnormal which don’t have enough strength to fight infections. On the other hand, the bone marrow may produce some abnormal red blood cells and platelets. Their growth is quick and they minimize the number normal red blood cells, white blood cells and platelets that are required for normal body functions. Chronic lymphocytic leukemia is a cancer of blood and bone marrow. This type of cancer develops slowly because the growth of the abnormal cells is slow. The term lymphocytic refers to the white blood cells affected by the disease, i.e. a group of white blood cells known as lymphocytes that help the body to fight against the infections. Chronic lymphocytic leukemia is most common in older adults. There are treatments available that help control the disease. It is considered as an uncommon type of blood cancer. The term chronic refers to the fact that it is a slow growing disease than acute lymphocytic leukemia. The cells which are affected by the disease are known as myelogenous. Chronic myeloid leukemia or chronic myelogenous leukemia is a disease that is more common in the older people. However, there are rare chances that it occurs in the children. Scientific studies say that it can occur anytime in any age.